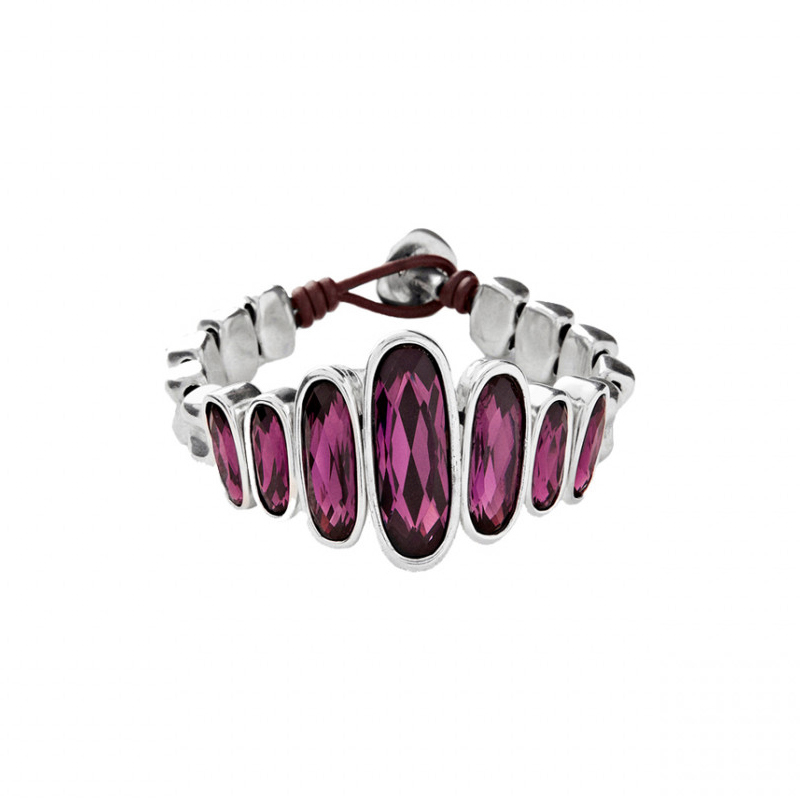 A leather bracelet with a toggle clasp formed by seven medallions of different sizes arranged from smaller to the centre of the jewel, incorporating SWAROVSKI® ELEMENTS crystals in amethyst colour. It is accompanied, on both sides, by handmade silver plated pieces. 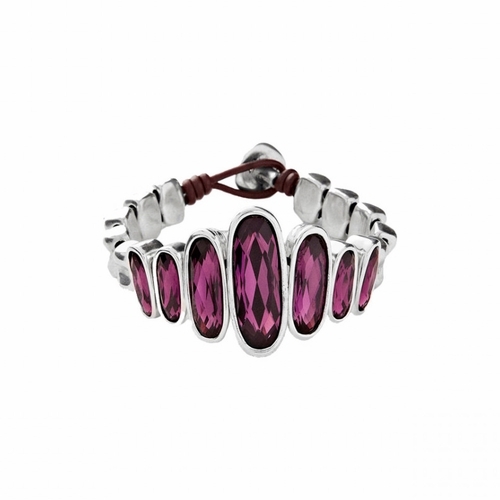 A bracelet by UNOde50 handcrafted in Spain.